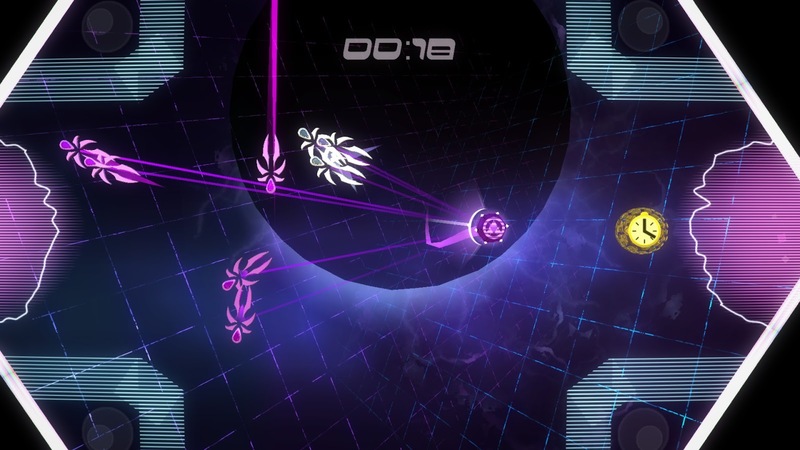 Arclight Cascade is an arcade action game that can either be played solo or with up to four players for some local multiplayer. Players control an avatar known as a "Pod Pilot" that is able to swing a lightsaber around to either hit other contestants or "glass drones" (aka "Glassians"). There are a variety of stages to go through which are picked at random; whoever wins the most stages wins the contest. 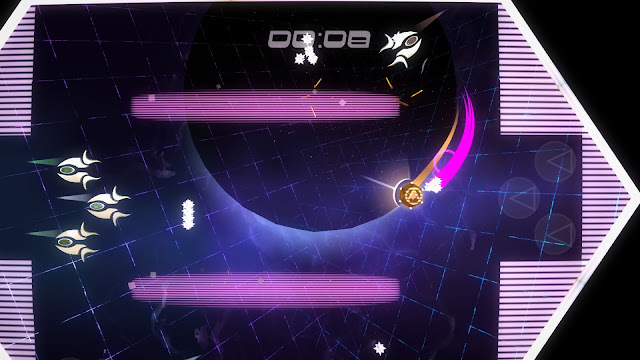 The game started off as an entry to Ludum Dare 31" Entire Game on One Screen" as Strikeout in 2014 but was eventually developed into a fully-fledged game and was released on Steam in 2015. A couple of years later, Hexdragonal Games closed down and the game was released for free on the 6th May 2017. As I've had a Steam Link for a while now, I've been trying to expand my Steam library (which, I do realise is making matters worse for my Pile of Shame) in as frugal a manner as possible. Consequently, I've been checking out a lot of games that are cheap with local multiplayer and full controller support (bonus points if the game is family friendly). I stumbled across Arclight Cascade and after noticing it was free-to-play, there was no excuse to not give it a shot. Have you ever had a longing to play a game that involves lightsaber duels? Well, Arclight Cascade scratches that itch! You can either play single-player or competitively against up to three other players in multiplayer. Despite only clocking 3.6 hours, I've played many games of Arclight Cascade because they're usually over in a matter of minutes: a great game to play when you don't have too much time (or to play with those with short attention spans). The controls are pretty simple if you're playing with a controller: one stick controls which direction you go and the other stick swings the lightsaber; and that's pretty much it, except for another button that causes you to sprint. Consequently, the game is ideal for kids and also for parties when you've got a group of mates over. No gratuitous violence in this game unless you have a thing against destroying "Glassians" 😉. The company Hexdragonal Games sadly shut down in April last year but as a parting gift has now made the game available free to play since May! One of the main reasons I wanted to try this game out was to see how it works on the Steam Link: I'm happy to report that it works great on it 😊. Unfortunately, the game has no co-op modes, only single player and competitive multiplayer modes. This is a missed opportunity especially when you're playing with opponents who aren't much of a challenge and hate losing over and over again 😉. Like many oldschool games, the only thing to really keep you going is achieving a high score or beating your buddies. I'm not entirely sure how the scoring works on some levels. For example, on some levels you can hit "Glassians" and change them to your avatar's colour. 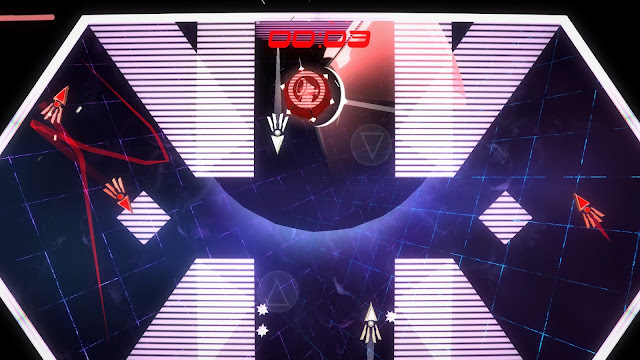 You can then hit them towards goals which convert the "Glassians" into stars for you to collect (and earn points). I'm still not entirely sure if it's required to change them to your colour since I'm pretty sure I've earned points regardless of who destroyed the "Glassian" in the first place. A free, family friendly, lightsaber duelling game with a variety of game modes; ideal as a party game when you have a few mates over or as a game to play with your kids. I believe it's a worthwhile addition to anyone wanting to take advantage of their Steam Link for some local multiplayer.